Don’t be makin’ stuff up— the state of New York is cracking down on fake Internet reviews on sites like Yelp, Yahoo and Citysearch and issued fines of about $350,000 to more than a dozen companies who got caught singing their own praises—or paying others to do it for them, including people in other countries who had never used the services in question. The State of New York has been busy the past week or so, and also introduced “text stops” along the highway for people who need to pull over and send a message. In other legal news, LinkedIn is getting sued by several of its customers, who claim the professional networking site hacked into their personal external e-mail accounts and downloaded the address books for marketing purposes. A post on a company blog by LinkedIn’s senior director of litigation states that the accusations are false. Stay tuned. As expected, Microsoft announced the next generation of its Surface tablets. The Surface Pro 2 runs on an Intel Core i5 Haswell processor. The less-powerful Surface 2 tablet was also announced this week. While Microsoft soldiers on trying to carve out more market share for its tablets and smartphones, BlackBerry reported major losses and layoffs, and also announced it was selling itself for $5 billion to Fairfax Financial Holdings Ltd, a Canadian finance firm. Apple’s new iPhone 5c and iPhone 5s went on sale last Friday and sold more phones over the weekend than BlackBerry did for the entire last quarter. So while the battle of the fruit-themed smartphone companies has been decided, but Apple’s products are taking bites out of other firms as well. After the arrival of iTunes Radio last week, the Web radio service Pandora saw its stock from 10 percent. Apple also pushed out iOS 7 last week, and the bug hunters have been having a ball. In other Apple news, the childhood home of the late company co-founder Steve Jobs could be made a protected site by the Los Altos Historical Commission in California. If you thought your Gmail was slow earlier this week, that wasn’t your friends and colleagues ignoring you — that was Google having problems delivering messages and attachments to its 425 million users. The situation was resolved about 12 hours later, with a dual network failure taking the blame. Worried about someone swiping your Android device and getting into your stuff? You can now lock a lost device remotely with the latest version of the Android Device Manager. To use it, just log into the Android Device Manager Web page with your Google or Gmail user name and password and follow along. In gaming news, Valve is busting out its own Linux-based SteamOS designed for gaming on TV screens. The SteamOS home page has more information, and the company is also working on Steam Machines (not to be confused with those things you rent a couple times a year to get all the mashed Cheetos and Gatorade stains out of the carpet). 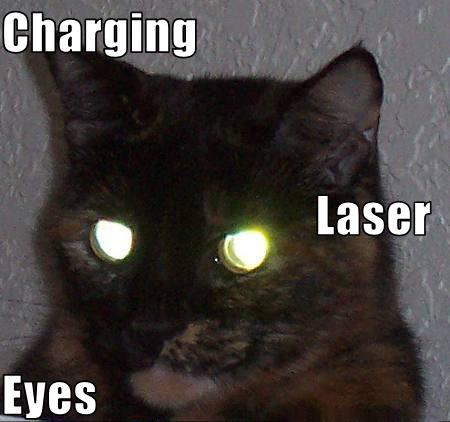 Do you hate it when you take pictures of your cat and it has those weird glowing eyes? Adobe has added a new feature to its brand new Adobe Photoshop Elements 12 software. Yes, now you can use the “Pet Eye” tool to correct those weird green and yellow distortions in the eyes of your cats and dogs, just like you can use the Red Eye tool to get the demon gaze out of human eyes. El Kaiser unboxes a new addition to his tablet arsenal, Google (and Samsung’s) Nexus 10, and J.D. gives us her first impressions of Apple’s redesign of their iTunes media player and media library application. In the news, tech companies concerned over International Telecommunications Union’s reworking of a telecom treaty that may negatively impact Internet freedom, thousands of Tumblr accounts are hacked, and the text message is finally out of its awkward teen years. This week we go Hollywood! J.D. tells us about 2 classic movie apps that have been revamped and updated. In the news: higher than high-res 4K televisions are here; new product announcements from Nokia and Motorola Mobility; and hackers release 1 million Apple UDID numbers into the wild.